I f you're replacing your roof, you have the opportunity to make sure that you get all the benefits a new roof can provide. 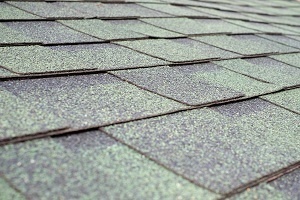 With new developments in shingles and roofing technologies, you now have more options than ever. At Superior Roofing Company of Georgia in Alpharetta, we know one of the most underrated aspects of choosing a roof is getting the right color. Here are somethings to consider when looking at shingles and their colors. Light shingles are great in warmer climates where they can redirect the sun's rays and help extend the life of the roof. The color of your shingles can make a 20- to 40-degree difference in your home. Light shingles will keep it cooler. 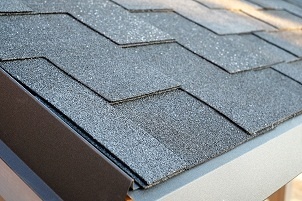 Dark shingles will keep it warmer and help keep snow and ice melted during the winter. Light colors also tend to highlight your home and its good qualities. If you want to make your home look larger, light colors will help. Darker colors tend to hide flaws and make homes look smaller. You should choose a roofing color that has curb appeal. The better your home looks, the more it's worth, and your roofing choice could be there for 20 years or more. Neutral colors tend to always be in style, but trendy colors look cool. Either way, be sure that your color choice goes well with the color of the home's exterior. I f you have a homeowners' association in your neighborhood, check with them about the rules on roofing. You wouldn't want to incur fines or have to replace the roof because you weren't aware of the rules; it could get messy and expensive. Also, check your neighbor's roofs. You don't necessarily want to get the same type of roof that they have unless it's the norm for the community. Instead, you want to choose something complimentary. Even if you don't like your neighbors, a roof that goes with the rest of the neighborhood will do wonders for everyone's property values. You don't have to go it alone. When installing a shingle roof in Alpharetta, find a professional and ask him or her for an opinion. Professionals with experience in roofing will be able to help you decide what type of roof you should get, how to accentuate your architecture, and what shingles make the most sense for your environment. By bringing someone on board with experience in roofing, you can make the right choice in color for your home now and in the future.